When an animal cruelty investigator visited the property earlier this week, 11 dead horses were found along with 16 others in serious jeopardy of starvation. HARRISON COUNTY, Mo. — The Humane Society of Missouri Animal Cruelty Task Force rescued 16 “severely malnourished” horses from a 16-acre property in Harrison County on Thursday. The horses were in paddocks and pastures with no vegetation and had no on-site veterinary care. When rescuers arrived at the property, they found a downed horse in critical condition that was humanely euthanized by a local veterinarian, according to a press release. 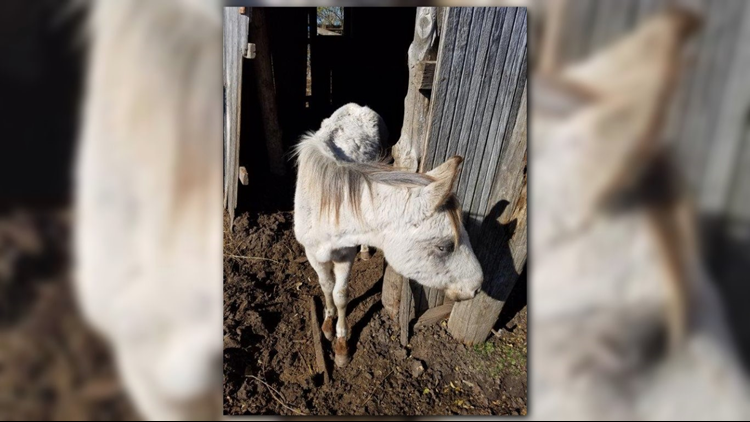 When an animal cruelty investigator visited the property earlier this week, 11 dead horses were found along with 16 others in serious jeopardy of starvation. The live horses were found in the same enclosure as the dead horses. 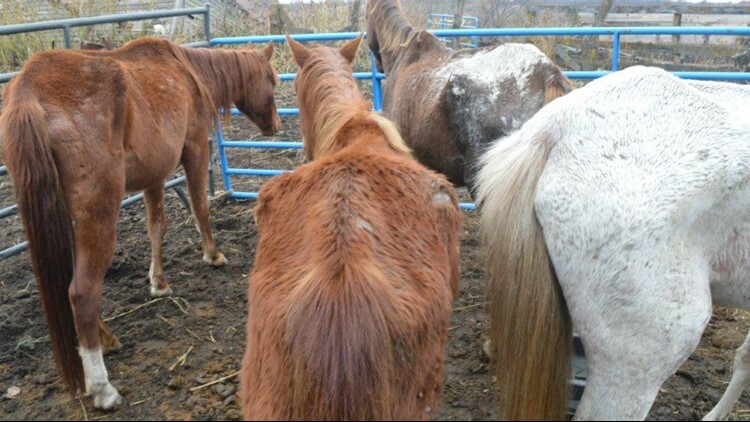 The owner admitted she could no longer care for so many horses and agreed to surrender the 16 horses to the Humane Society. The owner also agreed to secure adequate food and proper vet care within the next week for three other horses still remaining on the property. The rescued horses are being transported to the Humane Society of Missouri’s Longmeadow Rescue Ranch in Union, Missouri, for a lengthy rehabilitation before they can be available for adoption. If you’d like to donate to help with care for the horses, click here.